This year marks the 50th Anniversary of Germany’s Dusseldorf Boat Show beginning Jan 19th – 27th, where each year upwards of 250,000 visitors descend in order to view the latest offerings from the marine industry featuring, accessories, gadgets and apparel, luxury yachts, racing dinghies, RIBs, motor cruisers and famously, many board sports including windsurfing, SUP and more. 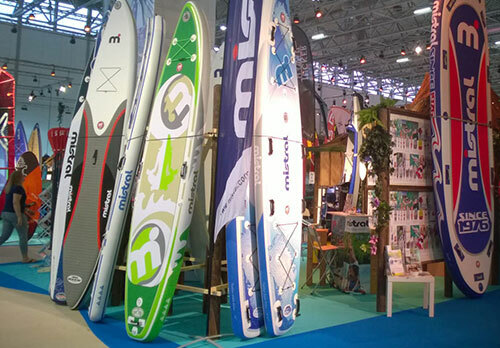 As in past years, Sports Vibrations, run by Ulla and Wolfgang, Germany’s Mistral Red Dot Distributors and Retailers, will be at the show to show off most all of our 2019 range, including our new SUP Sunburst and Adventurist boards and plenty more. Quikslide freeride boards and Zonda sails and rigs to match. Also on show will also be our drop stitch inflatable kayaks, offering the highest quality on the market. 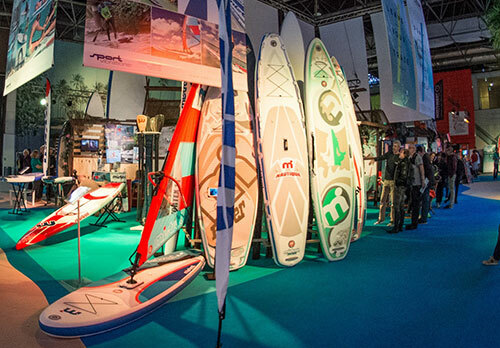 Maurits Huisman will be on hand for some of the show to meet with those from the trade, while Ulla and Wolfgang will be available for the duration, where you can expect the very best advice and the great opportunity to view Mistral’s Water Life and Living world of products for 2019. 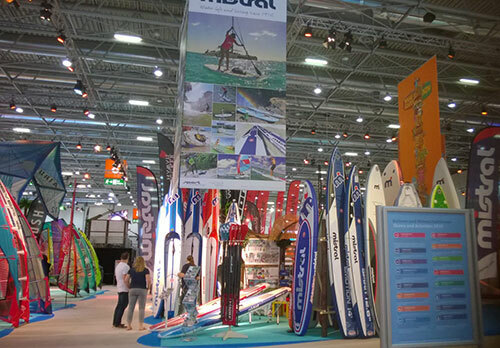 Look for Hall 8A, Stand E27 adjacent to the demonstration pool.